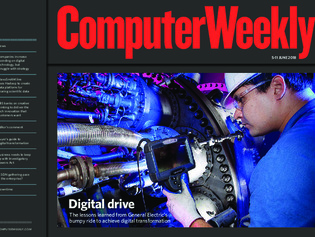 In this week’s Computer Weekly, we look at the lessons to be learned from General Electric’s bumpy ride to digital transformation. We assess the use of software-defined networking in corporate IT infrastructures. And we find out how Royal Bank of Scotland approaches digital and business innovation. Businesses and the public sector are stepping up their spending on digital technology, but many business leaders are having difficulty in keeping pace with what it really means for their organisation. GlaxoSmithKline is making better use of the data it generates during the development and trials of medicines through an open source Hadoop-based platform. With the obligations on communications service providers under the controversial Investigatory Powers Act looking set to change, affected companies must ensure they are constantly up to date.